Satisfy your inner culture vulture at The Rocks and Sydney Opera House. Take a break from Sydney with a short trip to Norman Lindsay Gallery & Museum in Faulconbridge, about 1h 20 min away. 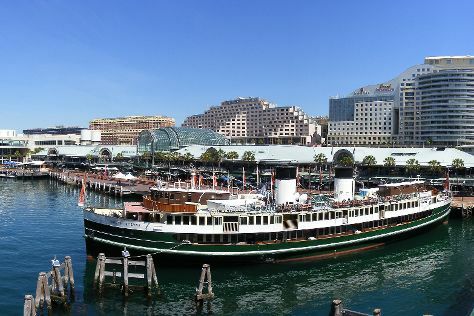 There's much more to do: take a stroll through Darling Harbour, tour the pleasant surroundings at Bondi Beach, see the interesting displays at Australian National Maritime Museum, and take in the views from Sydney Harbour Bridge. To find where to stay, reviews, photos, and tourist information, you can read our Sydney trip planner. In January in Sydney, expect temperatures between 32°C during the day and 23°C at night. Cap off your sightseeing on the 31st (Thu) early enough to travel back home.